N5022 & A3422 2X2 FULLY SEGMENTABLE NODES, A1002/A1042 MDU NODES, A210 MICRO NODES AND A230 RFOG MINI NODES. A3422 2x2 fully Segmentable node, A1002/A1042 MDU nodes and A210 mini/micro nodes. The N5022 1.2GHz is a 4-output 2x2 fully segmentable optical node that is capable of providing up to 59.1 dBmV output at 1218 MHz with an optical input range from -8 dBm to +2 dBm. The node can have up to two optical receivers and two optical transmitters. 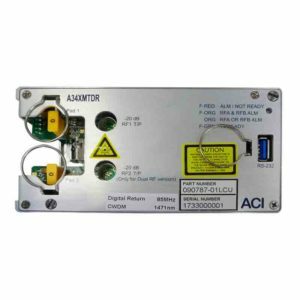 The ACI Communications’ ACION 3422 1GHz is a 4-output 2×2 fully segmentable optical node that is capable of providing up to 52.2 dBmV output at 1002 MHz, and has an optical input level range from -3 dBm to +2 dBm. The node can have up to two optical receivers and two optical transmitters. 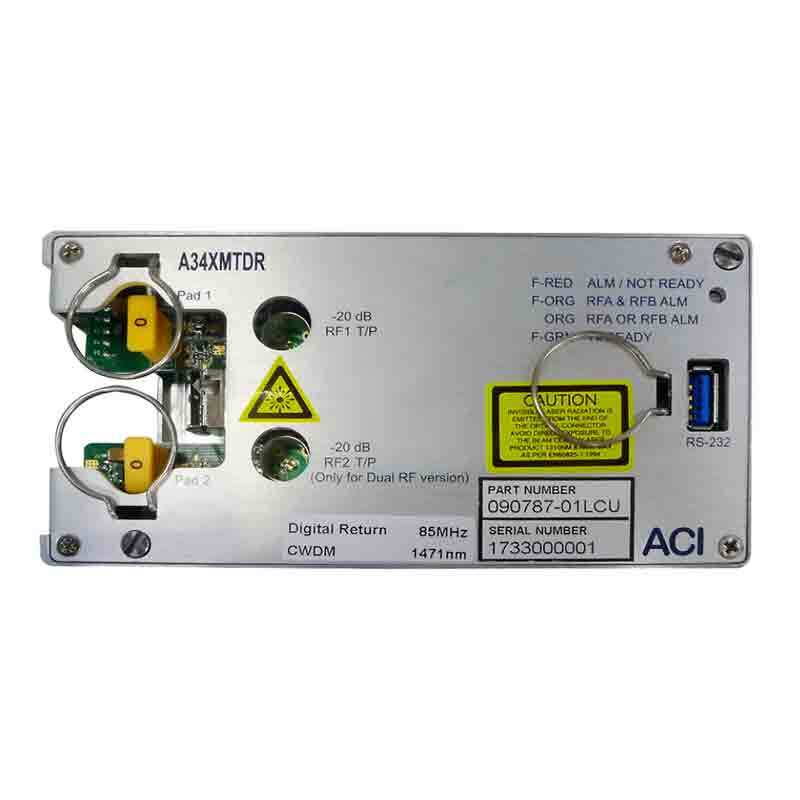 The A34XMTDR is the digital return optical transmitter (Tx) of ACI’s digital return platform. The Tx allows RF reverse path signals to be sent back to the headend via a single fiber. The Tx has two separate CATV RF inputs that drive an optical SFP module with ADC/multiplexing circuitry. The RF drive level to the Tx-SFP inputs to the A34XMTDR can be adjusted to be optimized for best performance with the input PAD or an RS-232 port via a laptop to use a provided GUI. ACION 1002 MHz 1 or 2 Output Optical Node. The ACION 1002 is a compact economically priced 1 or 2 output node that is ideal for use in HFC, fiber deep, MDU or commercial class services architectures. 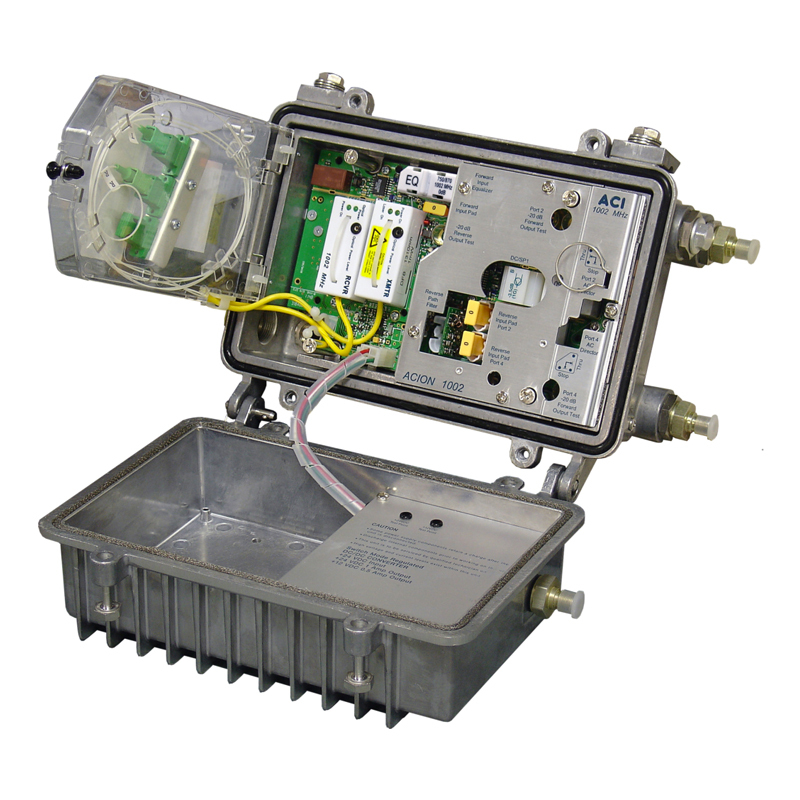 The node can be configured with either a FP, DFB or CWDM DFB reverse path transmitter. The ACION 1042 is a compact economically priced 4 outputs node that is ideal for use in HFC, fiber deep, MDU or commercial class services architectures. The node can be configured with either a FP, DFB or CWDM DFB reverse path transmitter. 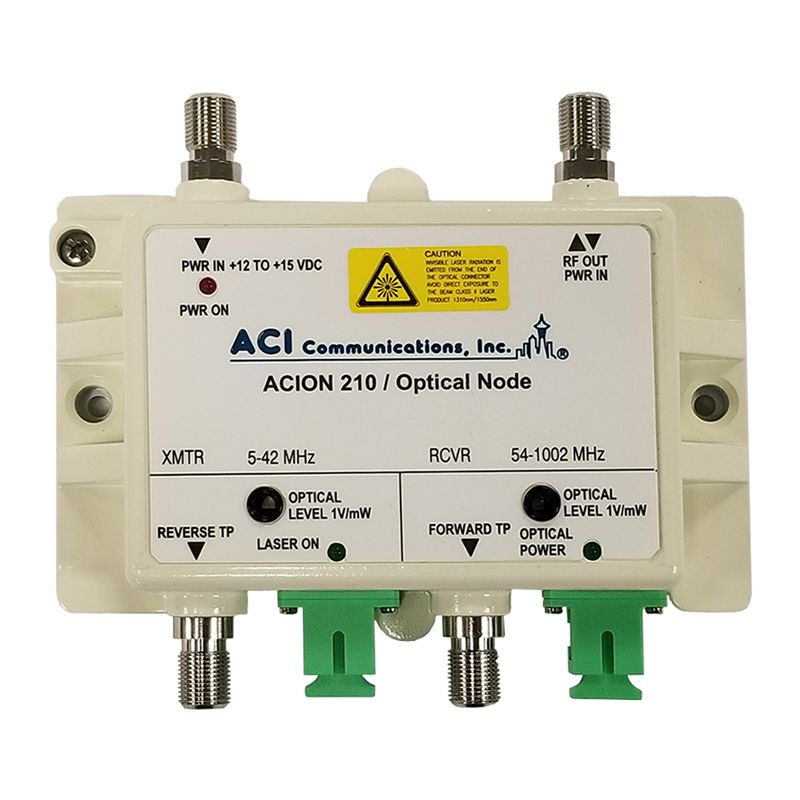 ACI’s ACION 210 is one of the smallest fully featured bi-directional nodes on the market. The optical receiver has an amazing high output level of 22 dBmV at a 0 dBm optical input. 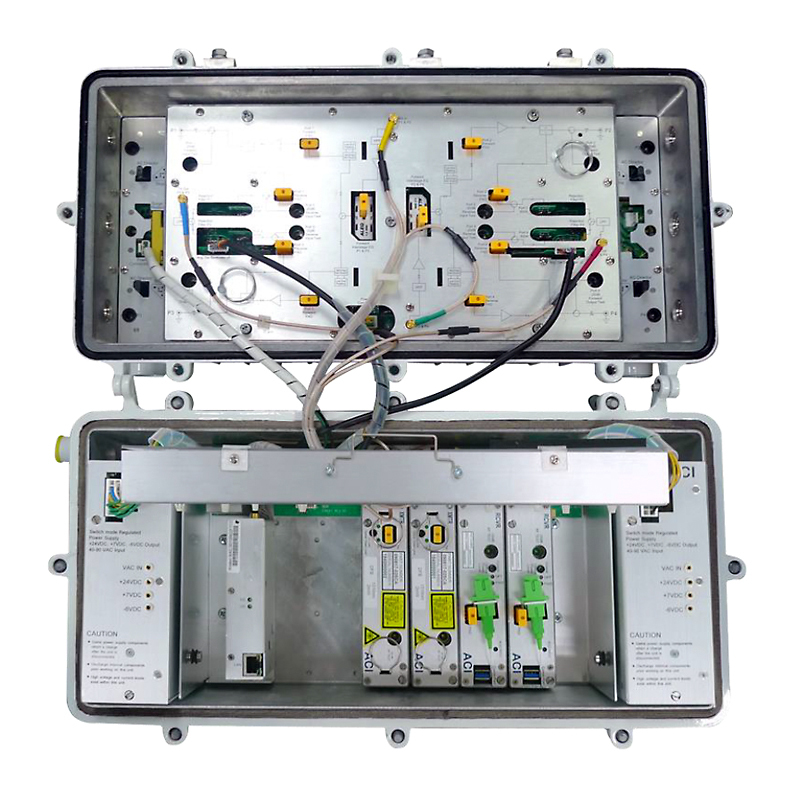 With LED’s for power on, laser on, and optical power, forward and reverse -20 dB test points, input and output optical level test points, this node has all of the setup features that are included in a conventional nodes in a housing the size of a standard drop amplifier. 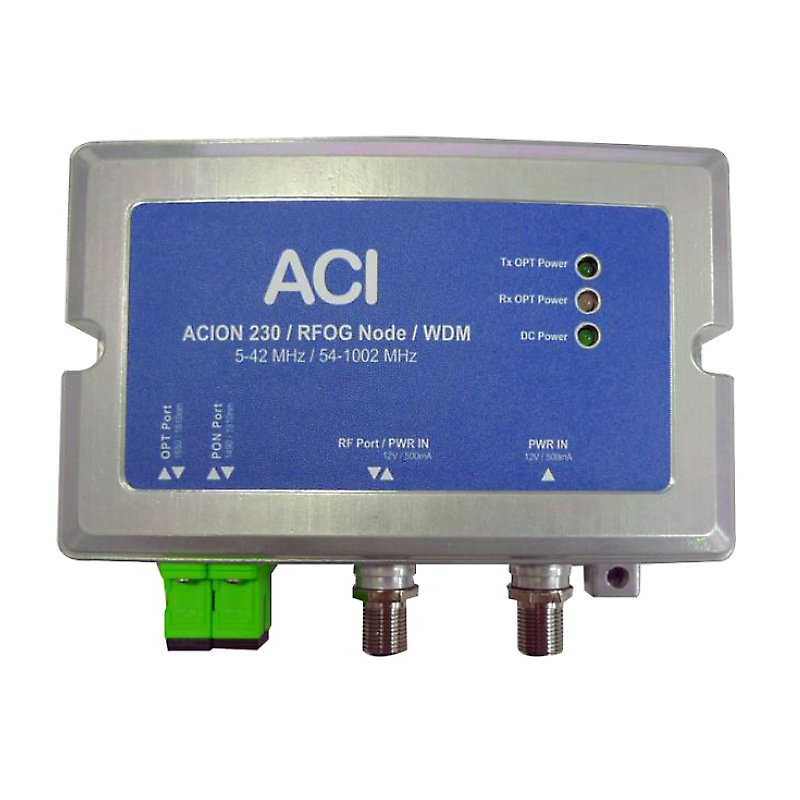 The ACION 230 RFoG mini optical node with burst mode upstream is a bi-directional optical node for single fiber (WDM) transmission in an RFoG network. It is the ideal platform for delivering video (digital or analog) as well as high-speed data services in a fiber deep or FTTH network. 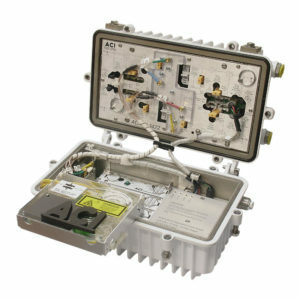 This optical node incorporates superior proven technologies for the RF amplifier and optical components. In the forward receiver path, the node contains an Optical Automatic Gain Control (AGC) circuit to maintain the output level over an input optical power of -6 to 0 dBm. In the return path, the Automatic Optical Control (AOC) circuit is designed to reduce the return noise effectively, to lower the power consumption and prolong the working life. 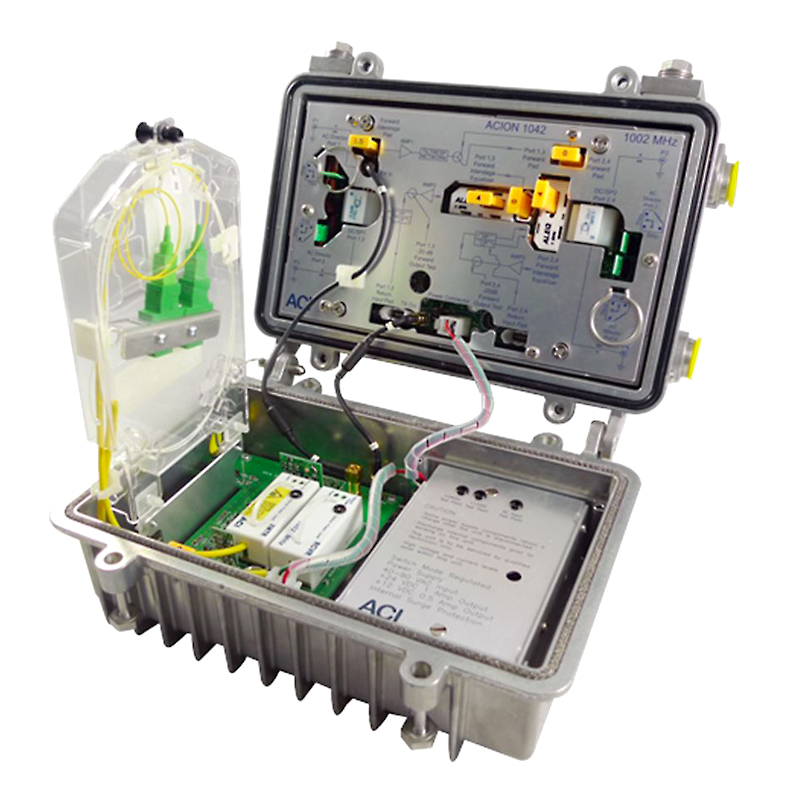 The ACION 230 is very compact in size with excellent performance and has very high reliability required by FTTB/FTTH networks.